I let my colony down to three. A little inbreeding was part of the process. The last three has a female pushing 1.75 inches and a male and female each about 1 inch. I have never tried such a size disparity where male was the smaller with any sunfish so will be interesting. Male is just starting to loose his dorsal spot and both females are getting nice bellies with larger getting a yellow tent as her ability to store pigment is saturated. Male will be isolated with nest shortly to see if I can get him to spin up. The real challenge will be having him hold nesting territory when larger female shows the low level of aggression typical with courtship. I see there should be a photo but I cant see it. Am I doing something wrong here? No photo in my post above. Ok thanks. I'm curious how large these get. Very cool fish from the pics I viewed online. Are these a short lived species you breed to keep and maintain for viewing? In the wilds of southern Illinois a monster will be 3". Same fish in aquariums can do a little better than 4". Males will breed easily at 2". In the wild I doubt many live past three years although I have had some four year olds in the aquarium. They do better when kept relatively cool and not spawned to death. Online pics to not do them justice when you seen changes associated with reproduction. Coloration than gets not unlike you see with Banded or even Blue-spotted Sunfishes. I think Bantams are closer kin to those versus the other sunfishes they are currently lumped with. This is a big one from S. IL. Those really are a pretty fish. The shape of the dorsal fin is pretty cool. If fish above male then it will not be able to bring back the dorsal fin spot and the flecks on flanks will be iridescent blue. Whats the temperament on these guys, how do they do in a group and with other species? Those would be a good candidate for my 125G when I get it set up. Low aggression levels with exception of males when breeding. They breed easier than most sunfishes in a community setting so long as Bantams are at top of the pecking order. They're state threatened in Illinois, sorry. That means time to talk to the biologists working with it and seeing if it is practical to get a permit for their keep and study. A great way to kill a species is for the public not only to be ignorant of its existence, but also not to see any value in it. A party so interested is more likely to throw their weight to invest in protection and in Illinois that is sorely needed. If they are state endangered/threatened but not federal does that eliminate ownership if the species is not wild caught in Illinois? I think it would be pretty danged cool to use some of my aquarium resources to do exactly what centrarchid is suggesting and it is definitely something I would be interested in. Edited by thedood, 05 April 2016 - 09:13 AM. I think you will need a collectors permit / fishing permit from state they acquired and taken by legal means. With similar hoops I also inform my conservation department and even ag department to give them at least a heads up on what is going on. I am trying to get some wild caught bluegill from down south and will have to have fish looked at by a vet or fish health specialist within 30 days of receipt. Latter group is more concerned about disease imports. Be prepared to invest a little patience with Illinois DNR as they might be running thin resource-wise. I would treat the acquisition like tilapia, you do not want them getting out. Good advice! I had thought about doing this with the banded pygmy sunfish which in Illinois is found only in the cache river area and is state endangered. Very cool fish and I think I could get a good, stable colony going in a 125G. Ok my interest has been piqued here. Centrarchid may I ask what state you live in? Be prepared to invest a little patience with Illinois DNR as they might be running thin resource-wise. Whatever you figure out, make sure it's 100% legal. I am in Missouri although used to live in southern Illinois. I would not mess with a state endangered unless legitimate science involved. Southern IL is a fragmented edge of multiple species ranges. They are living on the edge although several used to occur in northern IL as well. I though Banded Pygmy sunfish were more wide spread. They were abundant on southwestern IL. 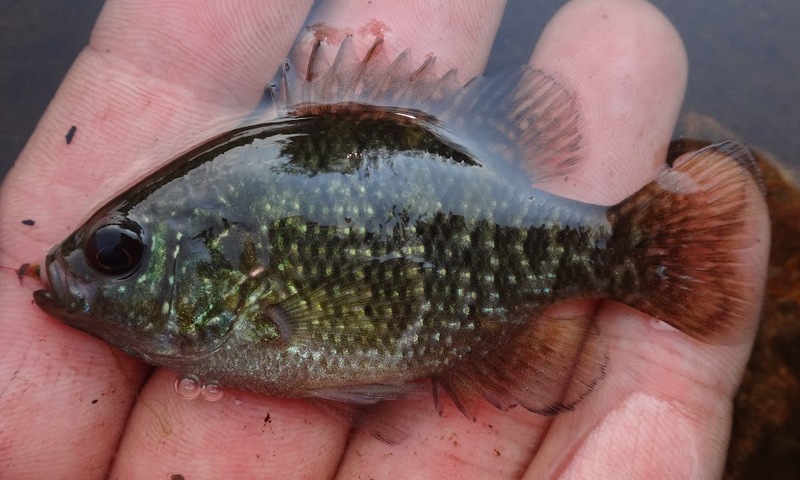 Pygmy sunfish and cypress minnows are two state-endangered fish found only in wetlands dominated by forested swamps. I dont know but it is confusing as hell as I dont see either species in the quote on the idnr endangered list. The bantam is there for sure however. Banded Pygmy Sunfish is not listed as either threatened or endangered. Redspotted, one of my favorites, used to be threatened and was abundant in a much larger area than recognized at the time. That area was much larger than that currently supporting the Bantam Sunfish which is only listed as threatened. Something must have changed in the last 15 years since I left. Their population in the lower Sangamon River drainage disappeared from what I heard. Grass carp wiped out their habitat.